We’ll cruise along the wonderful Scottish Lowland Canals. First along the Forth & Clyde Canal from the River Carron, passing Falkirk and Auchinstarry to Stockingfield Junction where we visit the Glasgow Branch. Then through the unique Dalmuir Drop Lock to reach Bowling. As a bonus we’ll cruise along the River Clyde with the Paddle Steamer Waverley. 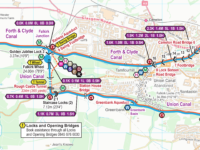 From Edinburgh we’ll follow the Union Canal through Ratho and Linlithgow to travel on the famous Falkirk Wheel. Sit back and watch us work through the locks, pass the opening bridges and rotate with the Falkirk Wheel. 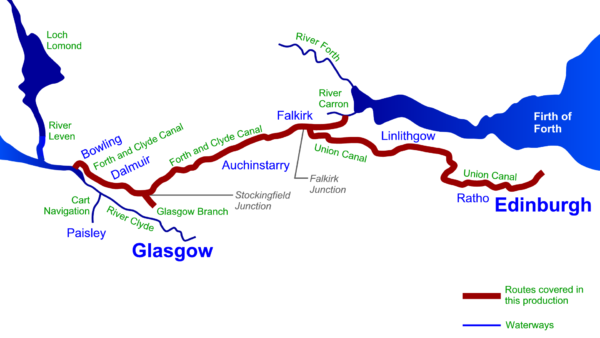 Route covered by the Forth & Clyde and Union Canals DVDs. 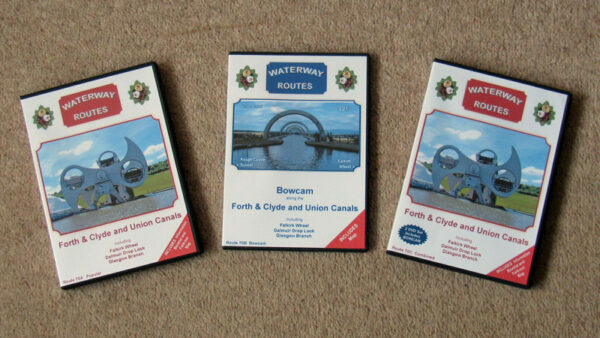 Forth & Clyde and Union Canals DVDs in a choice of formats. 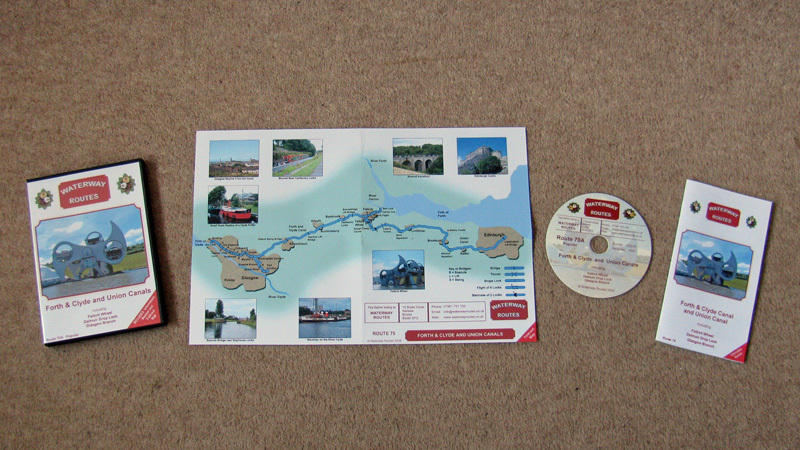 Contents of Forth & Clyde and Union Canals Combined DVD. Extract from my Forth & Clyde and Union Canals Maps. 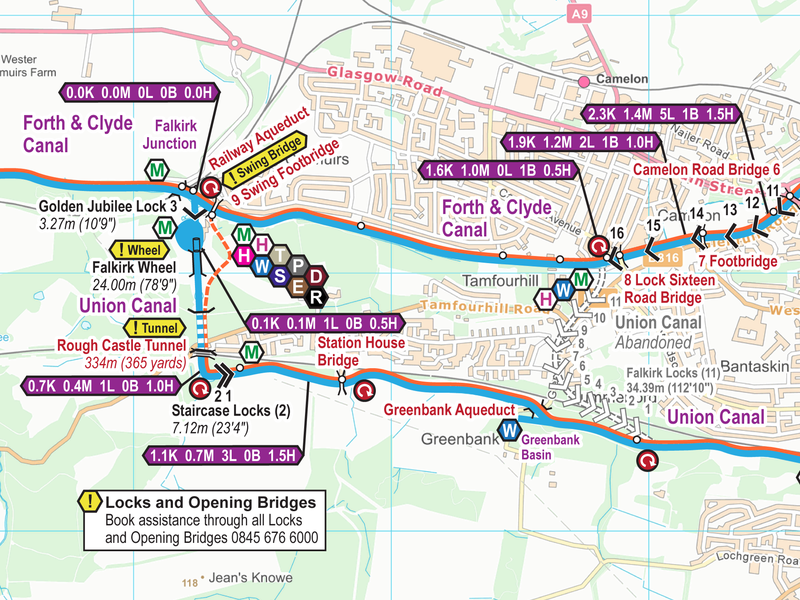 Read more about my Forth & Clyde and Union Canals Maps. 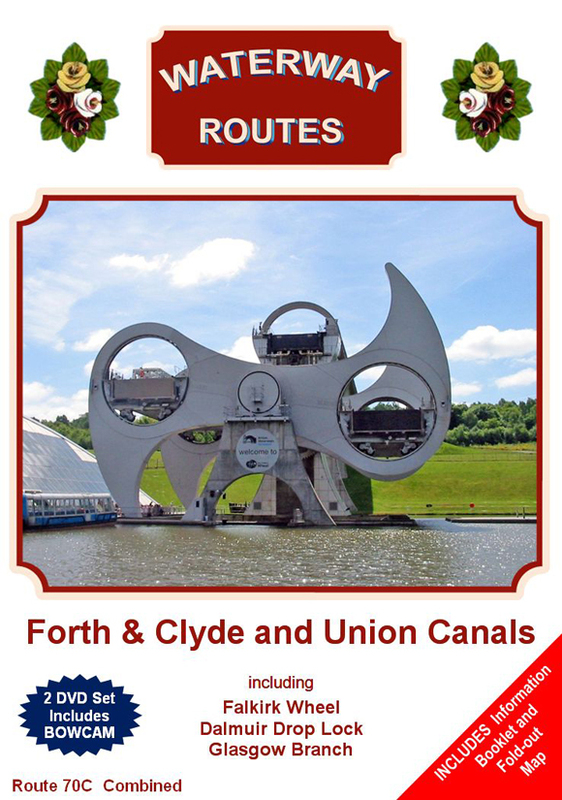 Save 10% on both when you buy a Forth & Clyde and Union Canals Map and DVD together. Automatically deducted at checkout.